How far do we need to consider the context of something that we are reviewing? It might seem ridiculous, whether on a humble blog such as this or in a broadsheet newspaper to give background information, but it can shed some light into how the music came into being. True, many reviews may get sidetracked around certain details -the unusual release of Radiohead’s In Rainbows, the tragic deaths of Marley, Curtis, Lennon, Joplin et al.. but what about soundtracks? Soundtracks are created with a different purpose in mind. Can they make any sense outside of their subject? Especially when it is not the painfully cheesy ‘love theme’ to Hollywood’s latest block buster, but pieces of incidental music? There are, of course, notable exceptions. Rob Dougan’s ‘Clubbed To Death’ may be forever associated with The Matrix, but it’s strong enough in it’s own right to be considered on its’ own terms. Similarly, Walter Carlos (later Wendy) provided a number of astounding interpretations of Beethoven’s music for A Clockwork Orange which mesmerised those of us unable to see the film, legally at any rate, after Kubrick withdrew it. 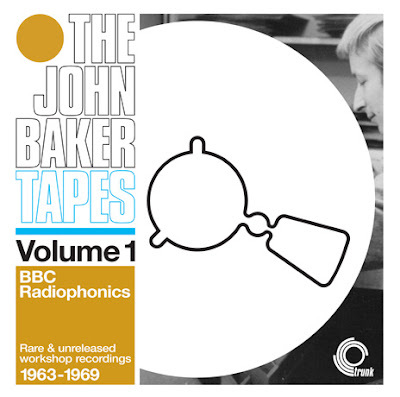 John Baker was part of the BBC’s Radiophonic Workshop between 1963 and 1974. He is seen as being part of the trinity of BBC Radiophonic Workshop, the other members being David Cain and Delia Derbyshire. Having more of a classically trained background than many of his contemporaries, the music that he produced for the Beeb often reflects elements of baroque and his beloved Jazz. In a sympathetic and thoughful review of these two compilations in the latest issue of The Wire (issue #294), David Stubbs points out that ‘the fact that he was unable to come out as gay probably helped drive him towards the alcoholism which helped end his career prematurely in 1974.’ Reading the sleevenotes provided by his brother Richard Anthony Baker, you have a sense of the same frustration of a lack of recognition and not fully recognised promise, despite a lot of hard work that brings echoes of both Alan Turing and Joe Meek. The 49 pieces of the first CD range from little ‘idents’ sometimes a matter of seconds long, to far longer soundtrack pieces. ‘Building the Bomb’ evokes the underlying horror of the nuclear age, that it was possible we could all be blown to pieces at any moment. The music was produced for use, though not necessarily mass consumption on its’ own, and many of the pieces contained across the two discs are commercially available for the first time here. Yet despite the weirdness that they might have, played track by track, you find yourself wondering both at the inventiveness and the listenability of it all. Some of the music was produced by blowing across a shampoo bottle, and then sped up, or slowed down whilst other effects were added. This preceeded synthesizers by many years and the work taken to produce what some would no doubt dismiss as ‘jingles’ would have been painstaking to produce. 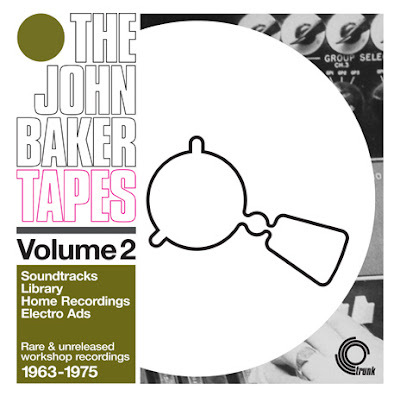 Volume 2 shows another side beyond the Radiophonic workshops. Amongst the highlights here are ‘Electro-Twist MQ Lp1/1’ (slip it inbetween some dubstep-style recordings just to see how far ahead of his time Baker really was), and a Beatles Medley entitled ‘I `Wanna Hold Your Hand medley’ which is far from being a Stars on 45 hideousness but instead takes the music of Lennon-McCartney and makes it reminsicent of Debussy or Chopin. In many ways it is an easier listen that the first volume, but just as much of a mixture of the wide variety of work, be it for private consumption or (soundtracking) very public consumption. The influence on the music world of the last forty years should not be underestimated either. You can bet that parts of these compilations will be sampled and turn up dance hits, but it’s also worth considering just how mcuh spilled onto the work of The Beatles (particularly once they became a studio-only act from 1966 onwards), Brian Eno-era Roxy Music and the Aphex Twin, amongst many others. The most famous work produced by the Radiophonic workshop was the original theme to Dr. Who. That was not Baker but Delia Derbyshire, and may be considered one of the most well-known pieces of musique concrete. But Baker’s contributions should not be forgotten or underestimated. While listening to all eighty-eight tracks in one sitting may be hard work (it did get the review written though!) there is a lot of fantastic work here. Whether you take this as a compilation of aural historical documents or music in its’ own right, this is worth investigating. One of the most interesting and fascinating compilations released this year. Volume One was released on Trunk Records on July 28. Volume Two will be released by Trunk Records on August 25.
http://www.thewire.co.uk/articles/150/”>An article on the BBC Radiophonic Workshop published in The Wire in 1992. It doesn’t mention Baker, then still alive, but it does shed a lot of light on the importance of the workshop, particularly when the BBC’s music department was not remotely interested. See here for a full tracklisting of the 88 tracks over the two CDs and even more interestingly, the article written by John Baker’s brother, Richard Anthony Baker. This is reprinted in the booklet that comes with Volume 1. It also includes a photostat of the obituary that appeared in The Times in 1997.